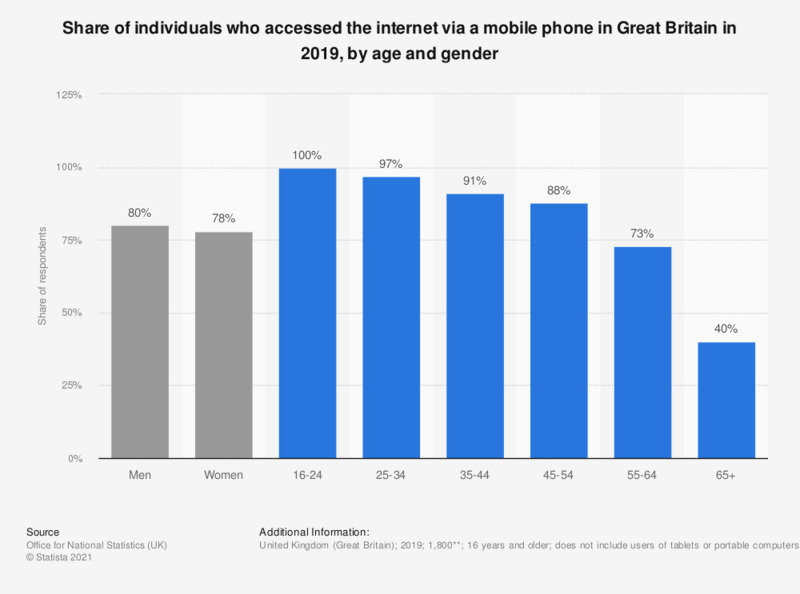 This statistic shows mobile internet penetration in Great Britain in 2018, by age and gender. Of polled women, 70 percent accessed the internet via mobile device. This is a lower share than that of men. Everything On "Mobile internet usage in the United Kingdom (UK)" in One Document: Edited and Divided into Handy Chapters. Including Detailed References.